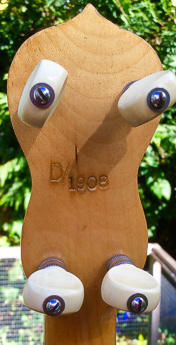 Dallas D, bird's eye maple, original friction tuners, excellent frets, straight neck, calf skin head. Comes with a perfect HSC. Probably the best one available. To discuss this instrument, please email. Buyer to collect or pay shipping from Surrey address (UK).